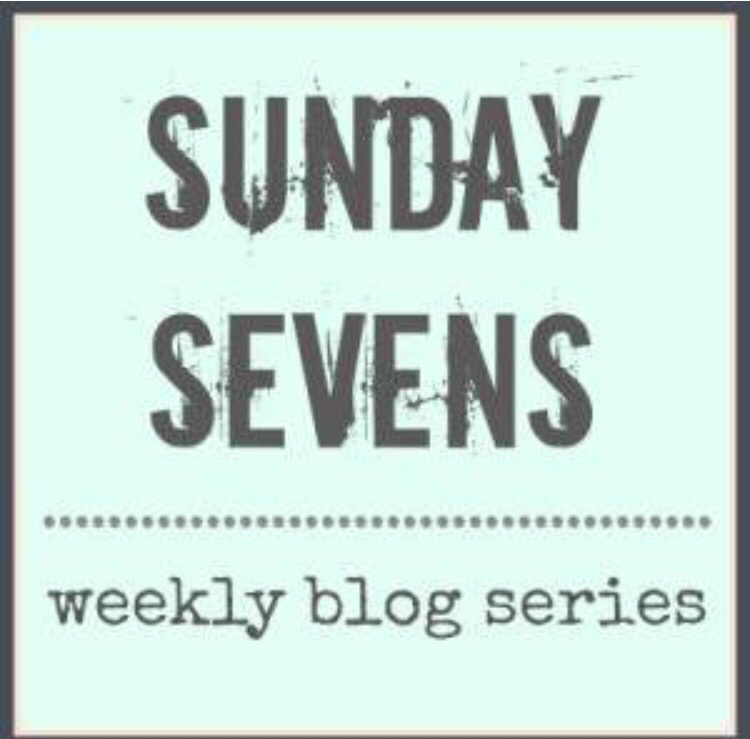 Hello there, I hope this week’s Sunday Sevens finds you well and happy. If you saw my last post, you will know that Postcard from Gibraltar is now the ripe old age of two years old! In some ways it feels like I have been writing these posts for ever, but in many other ways it feels like only recently I plucked up the confidence to start typing out my first blog post. Thank you to all of you for the positivity you have showed me over this last two years. Well, Gib didn’t quite totally disappear, but you get the drift! Last Sunday we had talked about taking a trip into Spain, but we ended up staying a lot closer to home and heading down to Europa Point. We had visitors this week in the form of Mr Postcard’s parents and we went for a walk at Europa Point, the Little Postcards had a play at the park and I took my father-in-law for a walk down to the Europa Foreshore. 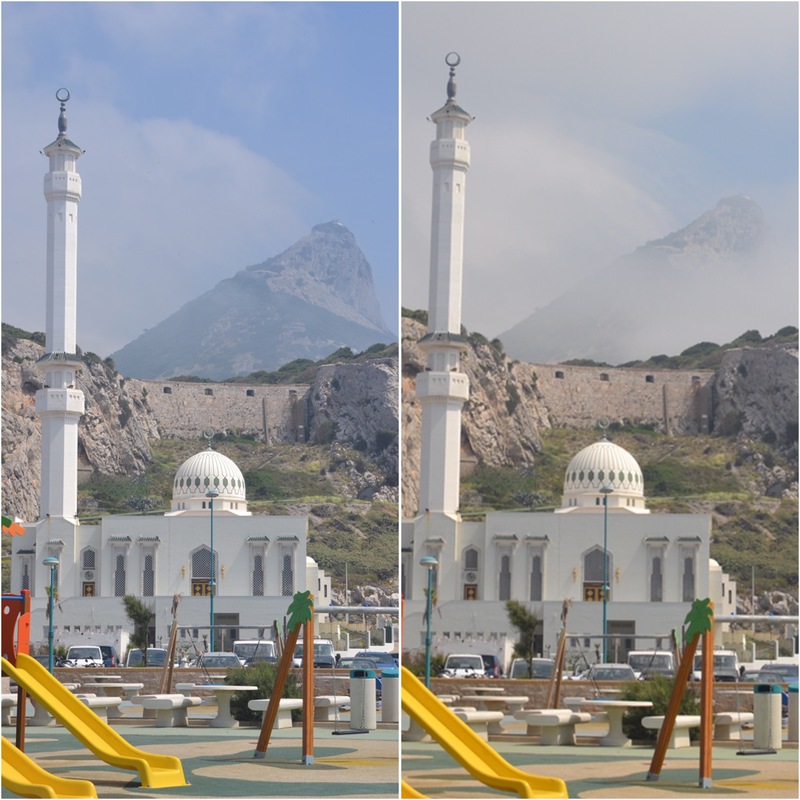 While we sat chatting at the park I was watching the Levanter cloud coming and going over the peak of the Rock of Gibraltar. I kept taking pictures in the hope I would catch it completely obscured but this is as close as I got. 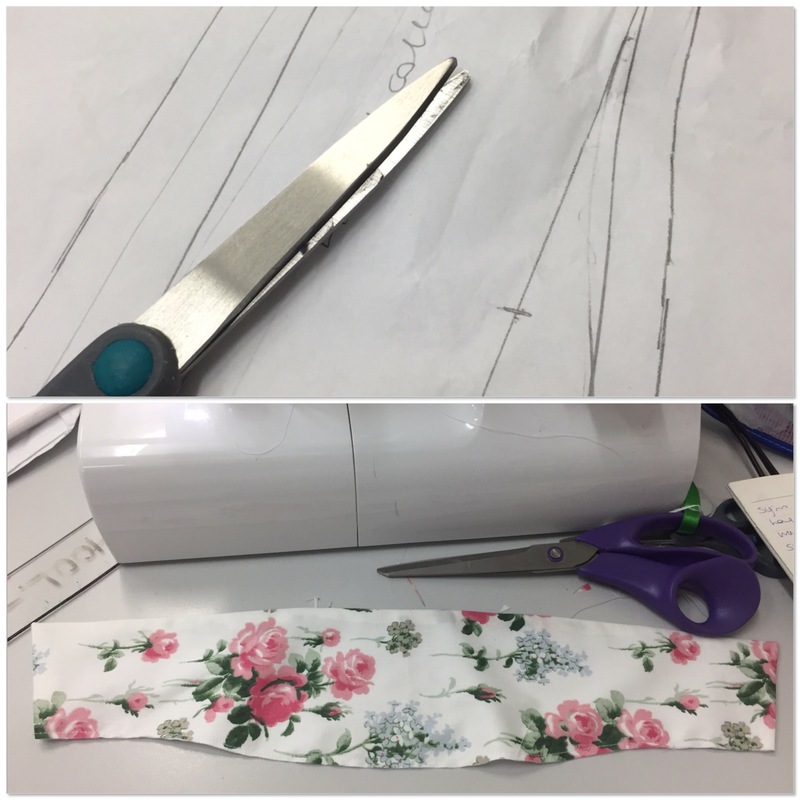 In this week’s dressmaking class i actually managed to get some sewing done! I have lots track of the number of weeks I have spent drawing my new pattern. I am currently working on a blouse and boy, oh boy, it’s been a long drawn out affair. Well, the pattern is finished and this week I got the chance to actually sew. I made a sample collar ahead of the real thing. 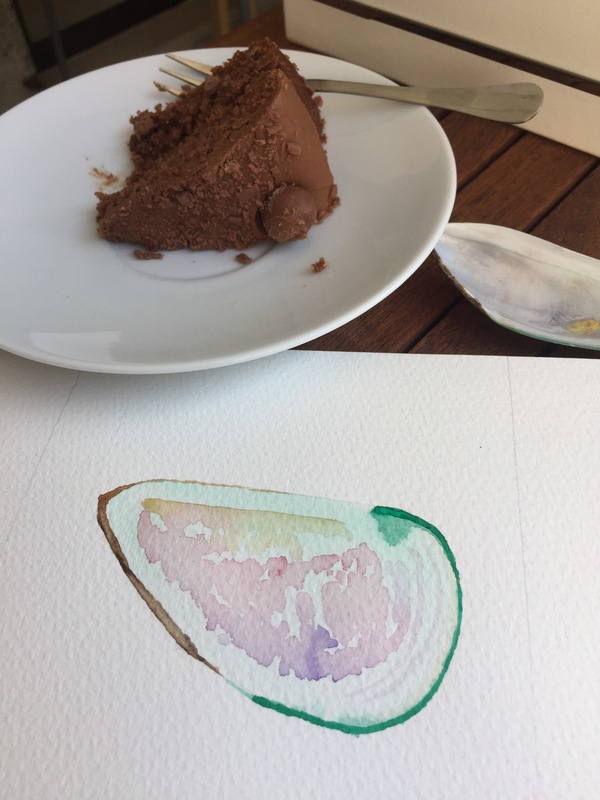 It was a relatively painless process, let’s see how the real thing turns out…. I know I have featured a photo just like this one before in Sunday Sevens, but it never fails to amaze me when I take a seat at the Victoria Stadium for one of the Little Postcards’ Sports Days and see them running their races at the National Stadium with the Rock of Gibraltar as a back drop. It’s such a far cry from the school field behind a row of terraced houses that I competed on when I was trying to balance a clay egg on a table spoon! We have had some belting sea mists this week. I know it is the season for it, and perhaps with the very hot weather we have been ‘enjoying’ of late, it has added to the phenomenon. Some days it has come all of a sudden and taken me by surprise, other days I have been able to watch it slowly creep up the Bay from the Strait and towards land. 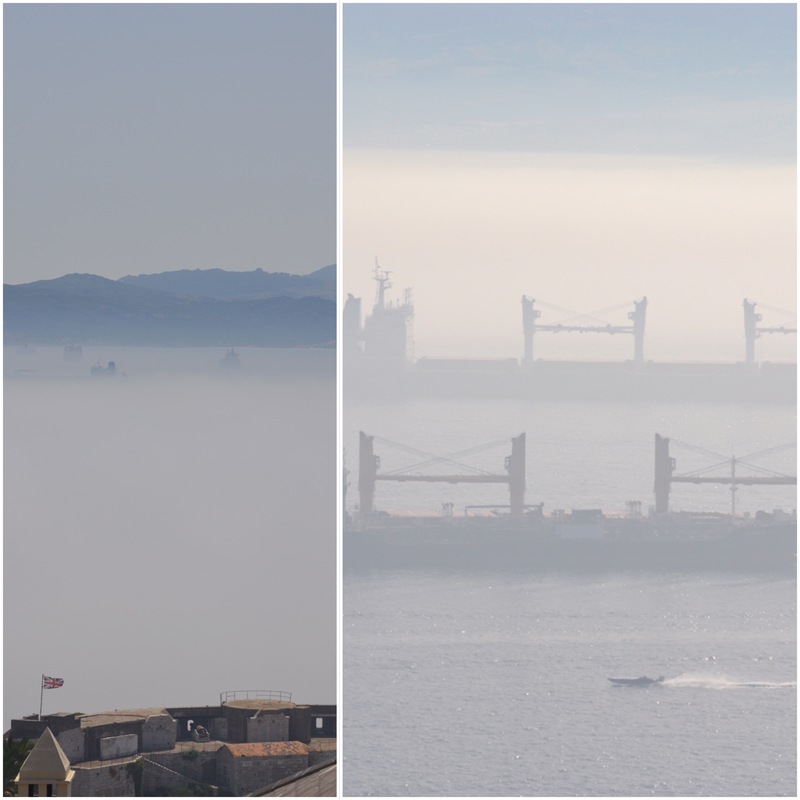 I love listening to the huge tankers almost singing to each other with their fog horns. 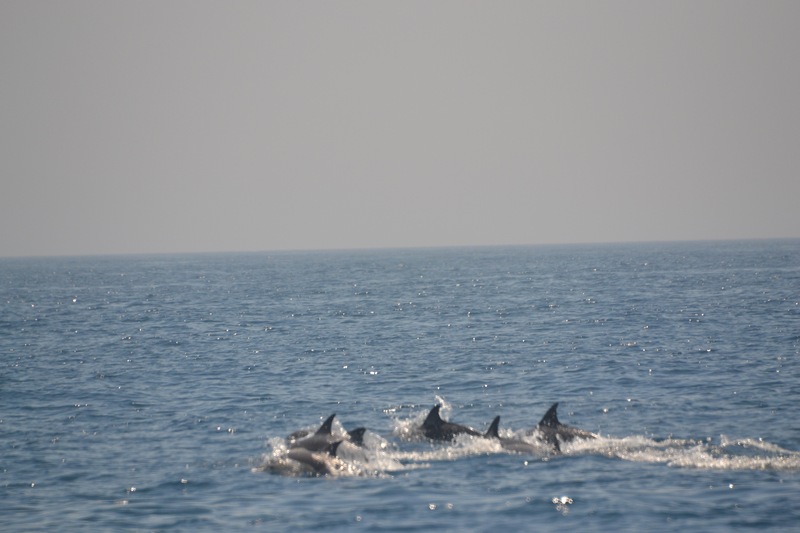 As we had our special visitors this week, we decided to go out on a dolphin boat trip one afternoon when the Little Postcards had finished their half day at school. We were not disappointed as you can see. We saw literally hundreds of them. I took lots of photos on our trip and I will share some more of them in the next few weeks. 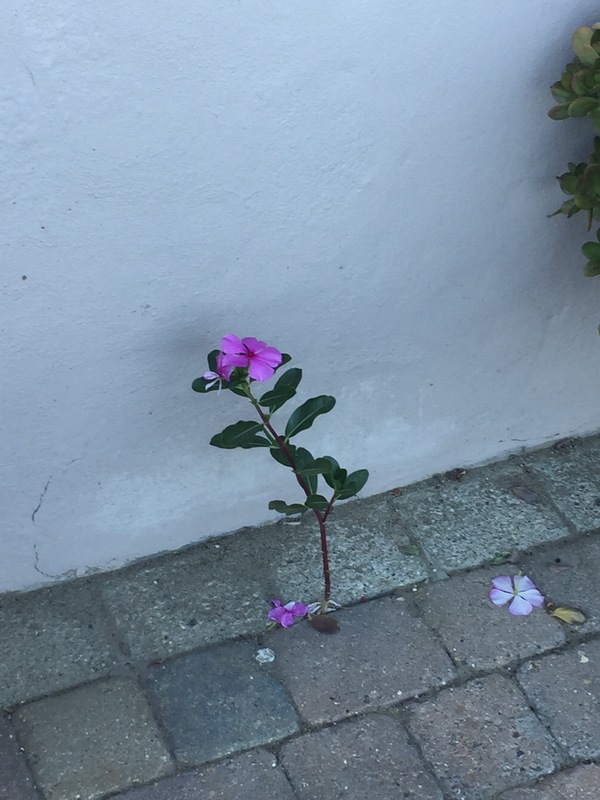 You wouldn’t think that a pavement at the side of the beach would be the most fertile place for a flowering plant to thrive would you? One evening this week we took a trip to Catalan Bay to have dinner on a balmy summer evening and as we walked to the restaurant I spotted this plant growing up in a crack between the paving blocks. I am not completely sure what it is, but it does look a bit like the Hawaiian Busy Lizzies my Mum used to grow on her her kitchen windowsill and a woodier version of the Busy Lizzies I used to have in a hanging basket by my front door back in England (I may be way off the mark with this). Anyway, whatever it is, it made me smile. I hope that this has been a good week for you, whatever you have been up to. Thank you for stopping by, and thank you to everyone who has taken the time to post comments on my blog and who have responded to my Tweets this week too, that has made me smile as well. What a wonderful sports arena, my schoolfield was on a slope and is now a housing estate. What a shame – so many school fields are suffering that fate in Britain. Here in Gib, space is such a premium that none of the schools have fields, hence why each school has its turn holding sports day at the national stadium. It always looks so heavenly looking at your photos. Feeling like I need a holiday. I remember the end of term busyness when mine were that age. Fun, but exhausting. Thank you. Very kind of you to nominate me. Have been out all day today and no chance of getting to it in the next couple of days and it’s the last day of June tomorrow, so maybe I can do it late next week? 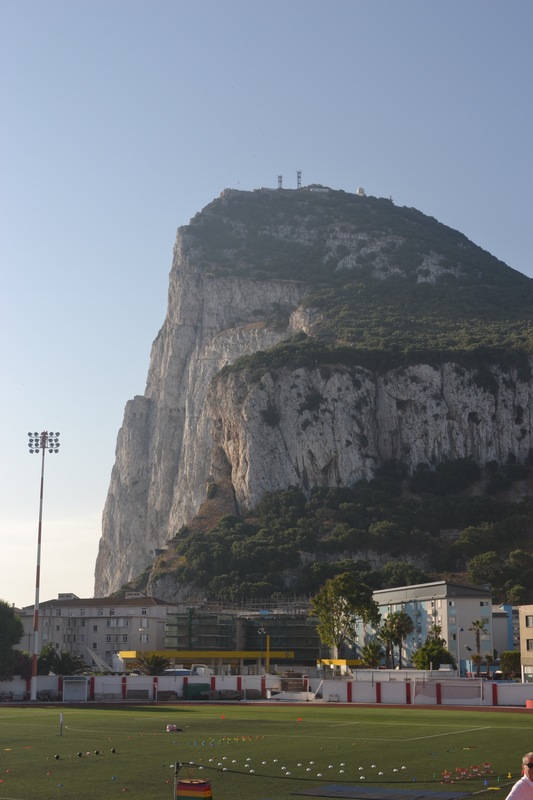 Beautiful images and a fascinating sharing of the week just passed at Gibraltar. Oh, those sea mists – I can almost hear the fog horns! It’s heartening to see how life can thrive under the most difficult conditions. I have no idea what that little plant is – probably a ‘weed’ if it’s so hardy. Pretty, nonetheless.